This post se dedicated exclusively to updated rules and conditions of my photo contest known as the 200 SBD 7 World's Continents Photo Challenge. To get the daily winners even larger publicity and exposure on the platform, I decided to use the winning entries of the daily contests as the cover photos for the new corresponding contests. For example: the winning photo of this week´s European Thursday photo contest will be featured as the cover photo for the next week´s post with European Thursday photo contest. It is not mandatory but I recommend you to make your own post with a reference to the contest. That will help raise awareness about the contest while getting you some extra upvotes and visits to your blog from your fellow Steemians. However, always make sure to submit your entry in the comment section of my post with the contest too as this rule remains mandatory. I don´t require contestants to upvote the posts to be eligible to compete but I will highly appreciate it. I noticed that many contestants upvote their own entries, then get another, a very decent upvote on their entries from me but they actually never bother to upvote the posts themselves. I decided to host this photo contest to enable Steemians from all over the world to present their photography skills and promote the beauty of their countries and places they have visited. The photos are to be submitted in the comment section below the post and please remember that only your own images will be accepted. Plagiarism will not be tolerated and those who will try to submit stolen images will be flagged by me. I will always upvote the best 20 entries of the day and select one absolute winner of the day. I will write a post the next day featuring the winning picture and the photo description to bring the winning Steemian some publicity. At the same time, I will also visit the winner´s personal blog and upvote one of his recent posts. The absolute winner will be chosen from the best 10 entries of the day that will get a bigger upvote from me. I will also upvote 10 runners-up photos, with a smaller uvpote. The remaining entries will not be upvoted by me at all. I had to resort to this measure as the numbers of submissions have been constantly growing, sometimes exceeding 50 entries a day and I simply could not upvote them all anymore. The winner of the daily challenge will then automatically qualify for the weekly 7 World’s Continents Photo Challenge that runs from Sunday to Saturday with the winner being announced on Monday. The winner will be selected based on your votes from my post. 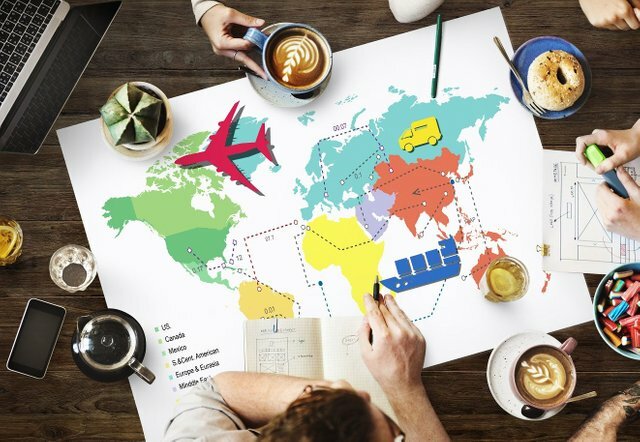 While resteeming and upvoting of the 200 SBD 7 World's Continents Photo Challenge posts is not mandatory for the competitors, it will be highly appreciated as it helps the challenge to grow and develop, which will subsequently contribute to the growth of your own accounts here on Steemit. Good news for all contributors – increase in payouts! As the Steemit platform has been constantly growing and to attract new talented contributors, we decided to increase the payouts! The winner with the highest dollar amount of upvotes in the 7-day period will now receive 20 SBD from me which will be done after 14 days of the first post as that will be the difference in days between first and last post being closed. The winner of the weekly 7 World’s Continents Photo Challenge will then automatically qualify for the monthly 7 World’s Continents Photo Challenge where his entry will be competing for a chance to win 40 SBD from me based on the highest number of dollar upvotes from other Steemians. The winners of the weekly 7 World’s Continents Photo Challenge will compete against each other. The absolute winner of the 7 World’s Continents Photo Challenge will then receive 100 SBD from me. The absolute winner will be selected from the monthly winners of the entire year once again based on the total dollar value of upvotes received from other Steemians. Note: I reserve the right to make some changes on the go to make this contest smooth and successful. Any entries that will use non-personal photos will be disqualified immediately without the chance of re-entering again. Please help me to upvote and resteem this post to get it to masses so that only the best image will take the winning reward amounting approximately 200 SBD in total (including upvotes on their winning announcements). Prague ranked as the world´s 8th most popular meeting city! 7 World's Continents Photo Challenge - week #32 - vote for your favorite picture of the week! ColorChallenge - Orange Tuesday - @jpphotography in 7 World's Continents Photo Challenge! thanks. I am very happy with this. and I can not wait for Sunday. because i am from asia. and I will try to join the contest on the week . That´s great. I am glad to hear you will be joining the contest. Thanks as always for all of your hard work and support that's made this challenge such a success! I've been doing #2 for awhile now and I'm glad you like it. I'll be honest, I started making a separate post of my entry because some days I don't have the time or energy to come up with an entirely new, original post. So it helps me out, so I'm happy to hear you like it. My new personal rule that I started recently is upvoting every entry for a day I enter a photo. I've been keeping the upvotes relatively small, but I'd like to increase them for the entries I really like. But I don't want to interfere with your contest if that's something you don't like. Oh, thank you for that Matt. I got the idea from @derangedvisions. Not only it can help you guys to get some extra upvotes from the masses but it will also help to promote the contest so it is a win/win for all. I do not want to impose the rules too much besides the obvious ones such as plagiarism but to give out bit more guidelines so all can benefit by using this wonderful platform. At the end of the day, we all become successful only by helping each other. Thank you for your continued support. Have a great day. Thanks for keeping us all updated on the changes Tomas. Hopefully others take the time to read it as well. Thank you for all that you are doing for everyone here on the platform. I was wondering what has happened to you:)... I am glad to hear you are back and will be submitting some of your work. Thanks so much for your kind words. Yup, a couple of crazy globetrotting weeks. Now catching up with work and hopefully will be posting a couple of things when I'm a little less jet-lagged. Thanks for the clarifications! I realized I have forgotten to upvote the actual contest page itself! Definitely going to start doing that. Thanks! Sunday is now! I will entry soon. thanks a lot for the contest~! Good evening from me @mrbloom in the UK. This photo is for Thursday Europe. This shot was taken by me in a place called Durdle Door which is on the south coast of England. This ancient natural rock formation is a stunning site, and conjures up many emotive thoughts of the high seas, pirates and Treasure. 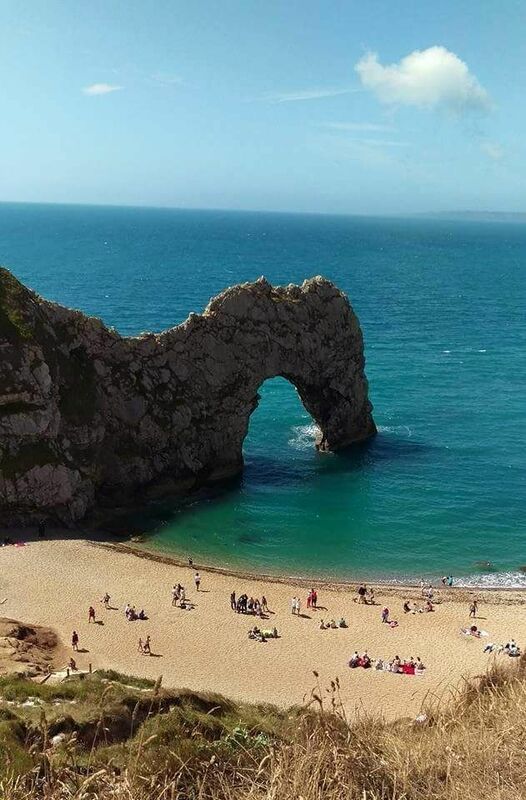 It is a wonder to behold, and if you're ever visiting the South of England, I'd highly recommend visiting this natural wonder which lies on the jurassic coast. Sounds great :) Posting the photo on my blog as well sounds like a great idea, I have done this a few times before, but not regularly, I will start doing this now! Glad to hear about using previous winners photographs to announce the weekly contest. I was recently wondering why you were using Shutterstock photo instead of submitted ones. Nice travel siduel , your plan and contest always different . I really like it . Please stop spamming, you have been reported to Steemcleaners.